Girls softball players volunteered to be the first to try out the new drug testing process. BOARDMAN -- Girls softball players in Boardman sacrificed something not many women are willing to part with -- a chunk of their hair. They volunteered to be the first to try out a new drug testing process that is expected to begin in the 2014-2015 school year. Boardman High School will drug test student athletes and those who drive to school starting in the fall. "These adolescent years are difficult for students. Their brains are being formed. It's a time when they make mistakes, and we want to help them to make better decisions and not a fatal mistake," says Superintendent Frank Lazzeri. 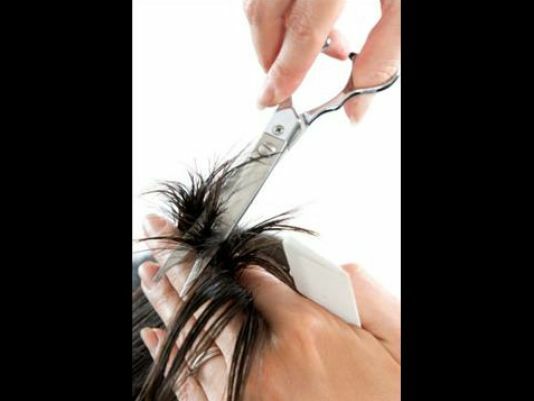 School administrators chose hair follicle testing because they say it's the most accurate. Drug evidence can stay in hair for up to 100 days. Each test is $40, and the program is expected to cost taxpayers about $30,000.